Description: VERY UNIQUE WITH 250 Sq.ft of PATIO !!! 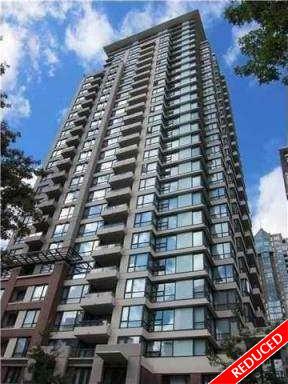 This unit has gorgeous city view in Yaletown Park 3 in the heart of Yaletown! Very unique one bedroom apartment in 28th floor with very large balcony & every room with floor to ceiling windows overlooking the balcony & the view. Access to the patio through both living room & the bedroom. Very efficient open floor plan, new laminate hardwood floor & new paint. Building has gym & onsite manager. Walk to Yaletown restaurants, Robson Street, seawall, library, GM Place, BC Place, Canada Line & skytrain station. Public Open house Sunday June 10th, 2-4 PM.